Fidel Castro's birth date and time are somewhat controversial. of ficial Data from http://en.wikipedia.org/wiki/Fidel_Castro = 13 Aug 1926 near Birán, Cuba. Birth location in Cuba's Oriente district is not controversial. The date and timing of this rural homebirth to his mother, a teenage (15) kitchen maid, is open to question. 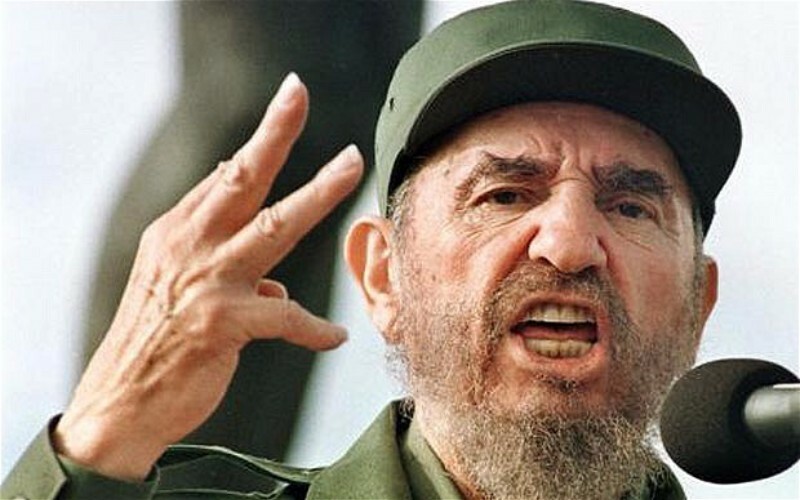 Adding to the date uncertainty, Castro's wealthy but non-literate father was not married to his teenage mom when Fidel was born; the father denied parentage until Fidel registered for school at age 8. 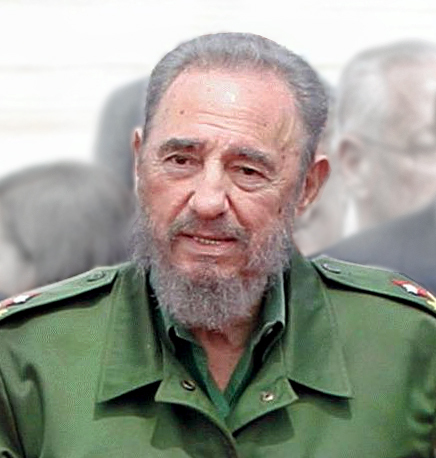 As a public figure, Castro has been the subject of journalistic inquiry for decades. The present nativity reflects a birth timing for the officially provided birthdate of 13-Aug-1926 that can accommodate the biographical data points within a principled Jyotisha argument. For Bharani gentlemen, the condition of sweetly musical, artistic, harmony-seeking, negotiating, balancing, diplomacy, designing, matching, pairing, sensually pleasuring akarshana-karaka Bright Bhrigu may considerably affect the outcome. Guidance by instructors from the civilizations of Apis. Bharani the Busy Bee. Their purpose is acquisition of treasuries, carrying of beautiful objects , and preservation of values across the generations. Zukra-ruled Bharani masculine-figures are the Money Guys. Yamuna-born are often found in the worlds of banking, valuation, capital markets, currency-trading, mints and coinage. Connoisseurs of pricing and aggressive deal-makers, they vigorously seek acquisition of precious objects. In addition to their financial abilities, due to their intuitive understanding of sound-and-color values, Bharani males may also pursue careers in music and arts. Most Bharani men can sing beautifully. Their harmonious arrangements may be lovely even while they vigorously compete for dominance. Their collections expertise extends to wines, perfumes, fine textiles, works of art, and any commodity which may increase in value. Themes of competitive acqusition, precious sounds and song, and investment in cherished values may contextualize Bharani's terrestrial experience. Applies also to Chandra in Bharani. because other people are apt to be jealous, resentful and antagonistic to him. The morals of this man are not above reproach . Fidel Castro's father (Surya) Ángel Maria Bautista Castro y Argiz was a financially prosperous sugar plantation grower (4) with many workers including a number of household servants. One of his servants became Fidel Castro's mother. 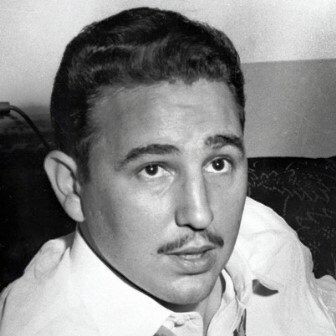 Little Fidel Castro was named after Fidel Pino Santos, a financially privileged politician from the Oriente-district and a friend of Don Ángel. The Castro children remember their father as a beneficent rich man, owner of a sugar plantation who looked after the welfare of his workers and also a man of extraordinarily violent temper; traits he appears to have passed on to son Fidel. Surya takes 4th drishti of Mesha-Mangala. Fidel Castro's mother Lina Ruz González was an unmarried (6) servant (6) in the plantation home of his father Ángel Castro y Argiz. After the kitchen servant Lina Ruz had had borne him seven children, Sr. Angel Castro divorced Maria Castro and married Fidel's mother. His parents did eventually legalize their relationship, but even after they married he carried the social stigma of illegitimacy leading to the shame-driven condition Narcissistic Personality Disorder. "My vocation is the revolution. I am a revolutionary, and revolutionaries do not retire." 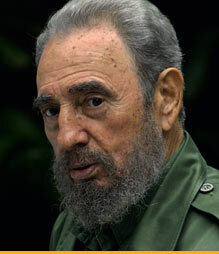 Castro stubbornly remained dictator of Cuba despite dissension in the ranks and numerous attempts to unseat him. Faced with severe health issues in old age, he passed the autocracy to his brother Raoul with whom he enjoyed a very close relationship, reflecting the typical narcissistic bond between brothers of the same mother. 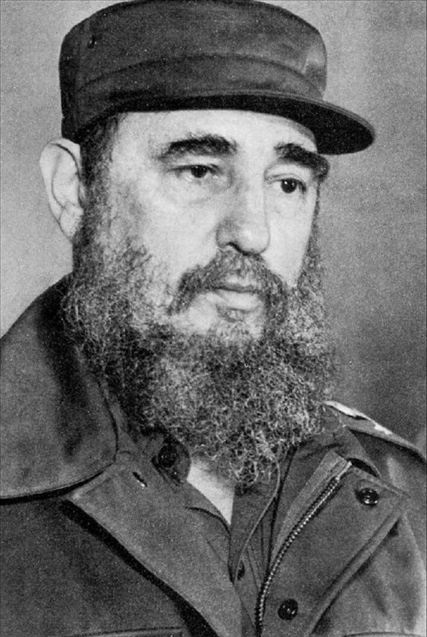 Although reviled in many parts of the world as a ruthless dictator, impoverisher, imprisoner, and murderer of dissidents (especially considering that he himself began his ascent as a dissident) as well as a shameless liar, most of his own people hailed Fidel Castro as a priestly figure, father-figure, philosopher and prophet. Karmesha Shani located in 10th-from-10th while receiving the dignities of * dig-bala and Sasaya Yoga is an exceptionally powerful and enduring position of rulership -- particularly when the nature of the leadership requires the constant, chronic negotiation and bargaining mandated by Cuba's role as a client state of Soviet Union.